This a rain or shine event. No refunds will be given because of inclement weather. 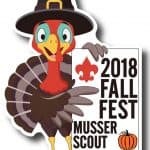 Fall Fest is a Day program designed to introduce you and your Cub Scout Family to what Cub Scouting has to offer. Your Cub Scout will get to try many different activities to get them excited about Cub Scouting and even Summer Camp. 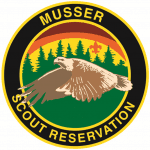 All of the day’s activities are designed for Cub Scouts of all ages/ranks (age: 5-10, grade: K-5, rank: Lion-Webelos). This day will give a glimpse of what Summer Camp is like. Along with all the days, activities lunch is included for all. Archery, BB gun shooting, Slingshots, Apple Chucking, BMX Bikes, Bouldering Wall, Crafts, Scout Skills, Science, and MORE family fun activities!!!! Camp Hart parking: In the lot across from the Dining Hall. 1 row of cars along the hill, 2 rows ion the middle, 1 row along tree/road line. Camp Garrison parking: located at 4021 Upper Ridge Road Pennsburg, PA 18073. Once Camp Hart lot is full we will park cars up the hill at Camp Garrison. A shuttle to and from this lot is available, along with a hiking trail through Camp Garrison. NO parking along Miller/Camp Road. State Police will ticket those that parking along the road. Click on the date(s) below to register your Cub Scout Families for one or more of our Fall dates. 2018 Event Map/Group Schedule: Download/print the event location map and event schedule. Evaluation Form: Download/print the event evaluation form. We welcome and want your feedback. Employment: Want to work at Fall Fest to help deliver the promise of Scouting to hundreds of Cub Scouts. Fill out an application today.